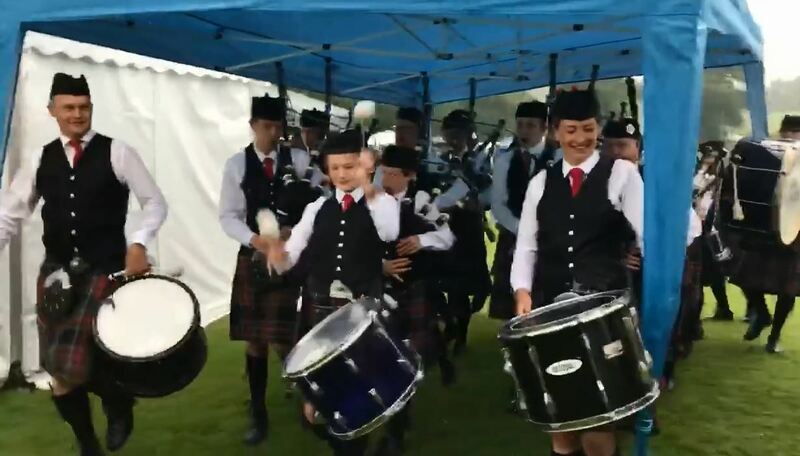 Rain didn’t stop this pipe band from playing in front of a home crowd at the weekend. 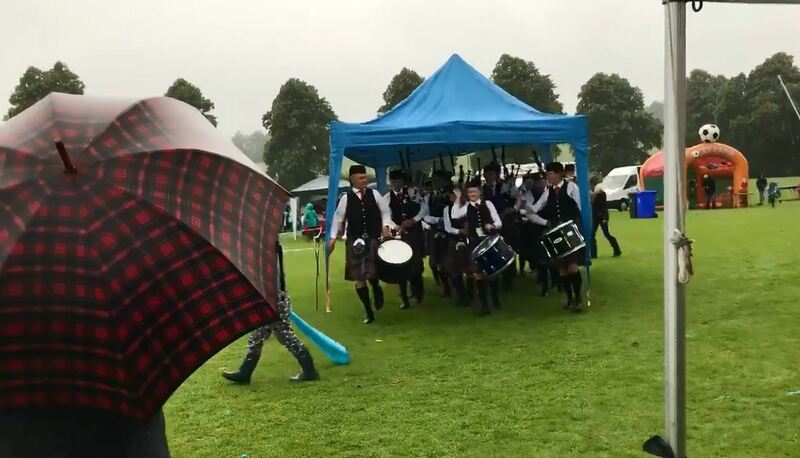 Doune Pipe Band where performing in their hometown Gala when the weather turned for the worse. Doune Pipe Band play under the gazebo. With rain pouring down from the skies, the band took refuge under a blue gazebo. Grabbing a leg each, four members carried the marquee allowing the band to continue their parade of the green.